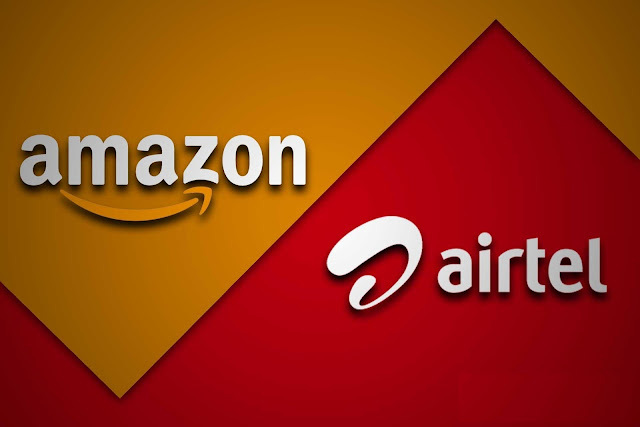 New Delhi, May 18, 2018: Bharti Airtel (“Airtel”), India’s largest telecommunications service provider and Amazon India, today announced a strategic partnership with an aim to jointly drive smartphone adoption across the country. Millions of Indians can now become first time owners of a 4G smartphone or upgrade to an advanced 4G smartphone of their choice at an affordable price from amongst a wide range of devices starting at an effective price of only INR 3399. As part of the partnership, a total cashback of INR 2600 will be available on over 65 Amazon.in exclusive 4G smartphones from popular device brands including Samsung, OnePlus, Xiaomi, Honour, LG, Lenovo & Moto amongst others. Customers will get INR 2000 of the cashback from Airtel over a period of 36months and can avail the additional cashback of INR 600 on Airtel recharges of INR 169 on Amazon.in, one of the fastest growing mobile recharges platform in India. 3. Recharges of another INR 3500 must be done over the next 18 months to claim the second refund installment of INR 1500 to avail a total cashback of INR 2000 from Airtel. 4. To enjoy the additional cashback of INR 600 from Amazon, customers will have to make 24 Airtel recharges of INR 169 via https://www.amazon.in/hfc/mobileRecharge. The INR 600 will be given as cashbacks of INR 25 onto customer’s Amazon Pay balance every month for a period of 24months. 5. The INR 169 recharge will offer unlimited voice calls (STD + Local) and 1GB data per day for 28 days. The ownership of the 4G smartphones bought under the offer is fully with the customer and there is no need to return the device to Airtel or Amazon India at any point to claim the cash benefit. The offer will also be available on select premium 4G smartphones on Amazon.in. In case, there is an existing cashback offer on the INR 169 recharge on Amazon, customer’s account will be credited with the higher amount (i.e INR 25 or above whichever is higher). Under the ‘Mera Pehla 4G Smartphone’ initiative, Airtel aims to join hands with partners to create an ‘open ecosystem’ of affordable 4G smartphones and bring them to market for virtually the price of a feature phone. The initiative has been continuing to receive a phenomenal response since its launch last year. To access the entire selection under this partnership, click on Amazon.in.